Riksbank. First Date of Issue: 1965. Artist: Unknown. Legal tender: No. Date of withdrawal: 31 December 1998. Material: Cotton paper. Printer: Tumba Bruk. Texts: Sveriges Riksbank. Etthundra Kronor. 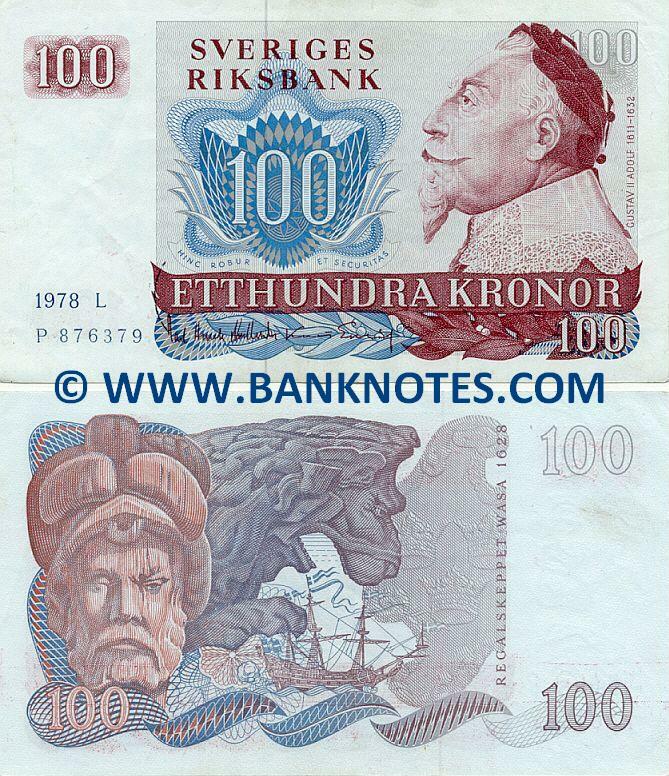 One Hundred Kronor (Crowns). Gustav II Adolf 1611 - 1632.